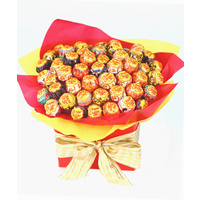 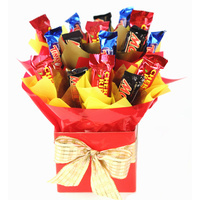 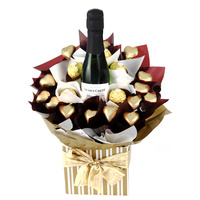 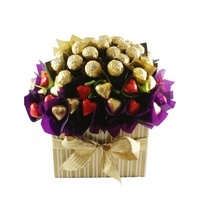 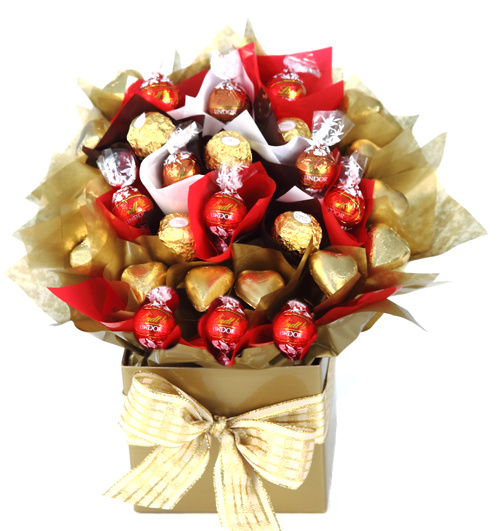 A gorgeous warm coloured chocolate arrangement! 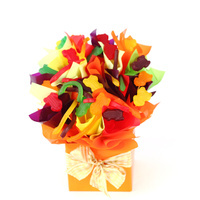 Gorgeous autumn colours to warm someone's heart today. 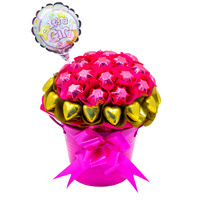 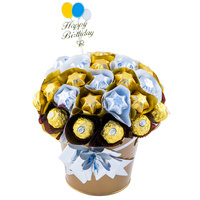 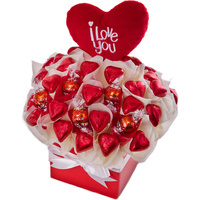 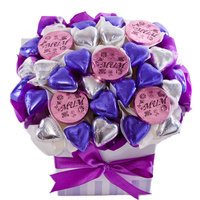 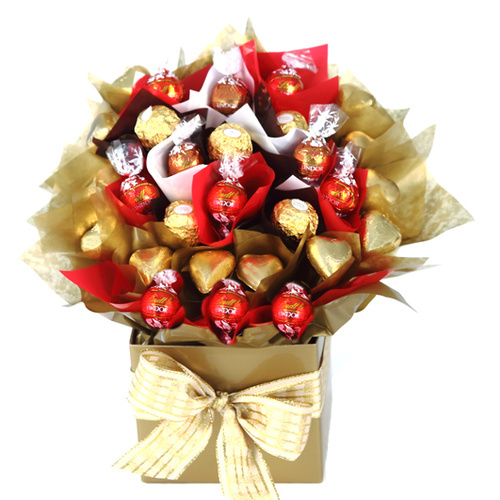 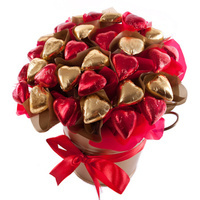 Featuring smooth and creamy chocolates, this bloom is sure to make someone feel special. 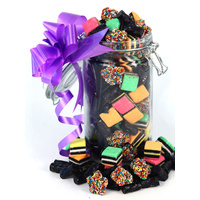 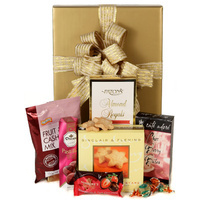 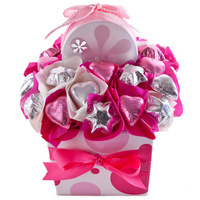 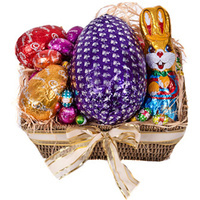 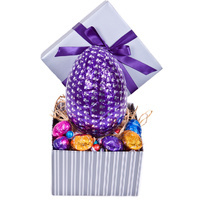 Presented in a glossy posie gift box with ribbon & attached gift card.